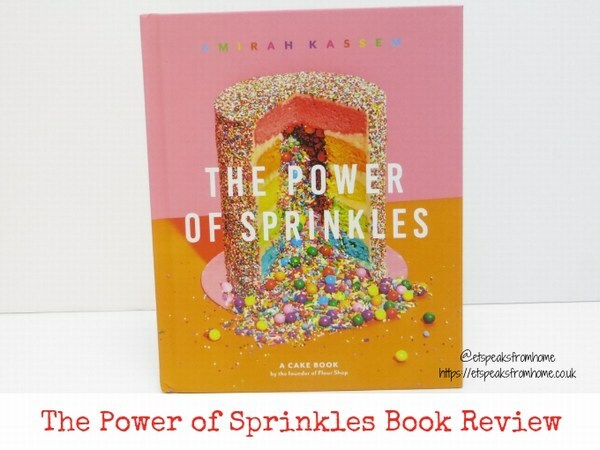 The Power of Sprinkles is from the creator of the hugely popular bakery brand The Flour Shop, Amirah Kassem’s debut cookbook that features 35 cake recipes, including the famous rainbow cake! This is a book not to be missed! Crispy roast potatoes, tender meat, and a generous serving of gravy: who doesn’t love a roast dinner, especially at this time of year? But slow-roasting a big joint of lamb or pork can take half the evening, and you end up using so many pots and pans to cook everything, making a mountain of washing-up. 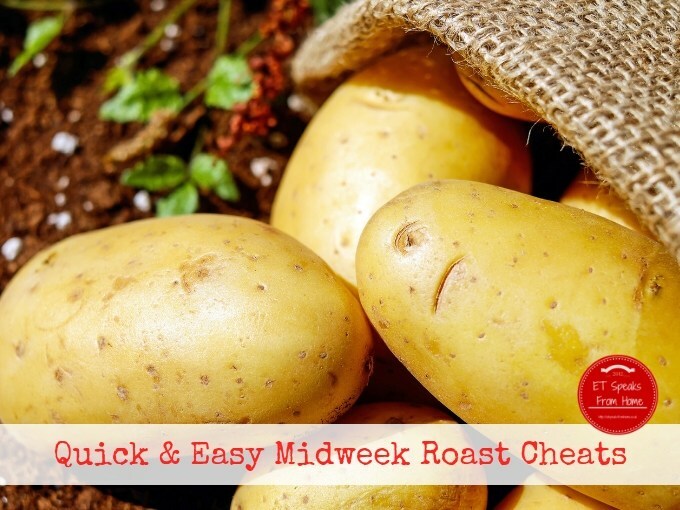 However, I’ve recently discovered a few simple hacks that make it easier and quicker to cook a roast dinner. Have a read and test them out for yourself. Stir Fry is the fastest and easiest way to cook a well-balanced meal for the whole family, especially to fit with busy lifestyles. It is a versatile technique you can use every day. Just a simple stir and toss with a little hot oil in a wok, and your meal could be ready in five minutes or less! It is a meal that is packed with everything you love from delicious and tender bite-sized pieces of meat to crisp and bright yummy vegetables! It is also very adaptable in that you can use up bits and pieces from the fridge! As a traditional Chinese family, this is what I have been brought up with and it has been passed down from generation to generation. One of my favourite stir fries is Singapore Seafood Hor Fun which is packed with a lot of fresh seafood and fresh flat rice noodle. 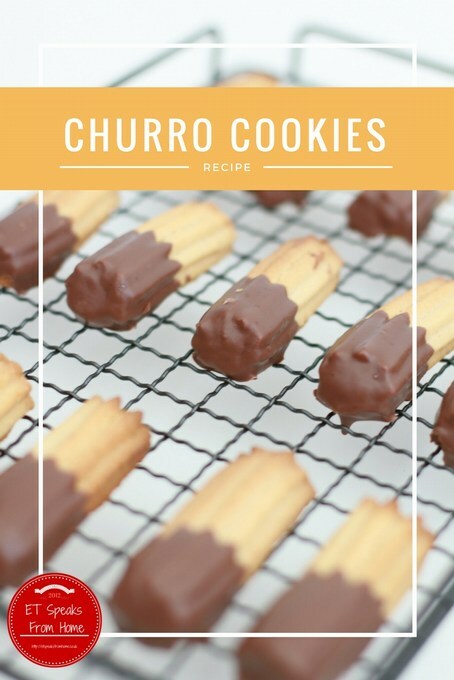 These churro butter cookies are churro lookalikes as they are made from a butter cookie recipe. The cookies melt in your mouth and smell gorgeous! Earlier this week, I was invited to attend the HelloFresh and Jamie Oliver Food Foundation event at Jamie Oliver’s Fifteen Restaurant. I got to meet Patrick Drake, Head Chef and co-founder of HelloFresh, Danny from Jamie’s Food Foundation and their team to learn more about the Food Revolution. Every May, they hold Food Revolution Day to celebrate success, raise awareness and invite more people, businesses and governments to join the ongoing Revolution. They want this to be an ongoing, global campaign to provoke debate and inspire positive, meaningful change in the way we access, consume and understand food. This month, they want you create a healthy omelette that symbolises your nation through the ingredients and methods used to create it. It could be a spice that originated from your country, leeks that are grown down the road, something from local history or even using veg that has the same colours as the national flag. The closing date is 3rd June 2016 using hashtag #FoodRevolution to enter via your social media platform. 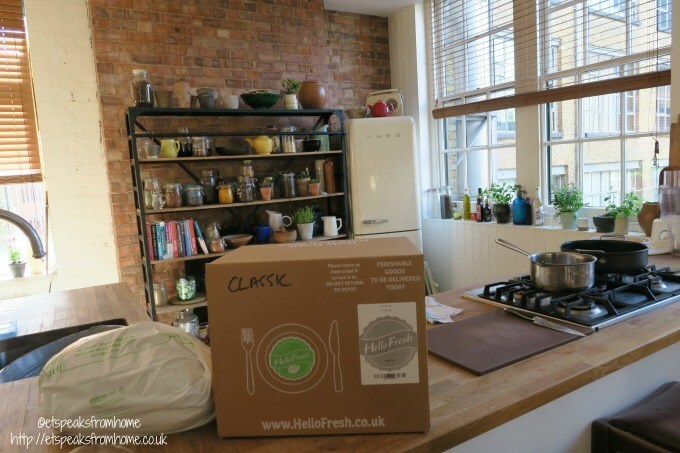 Since January 2016, HelloFresh has been partnering with Chef Jamie Oliver by introducing Jamie Oliver’s recipes into their boxes. 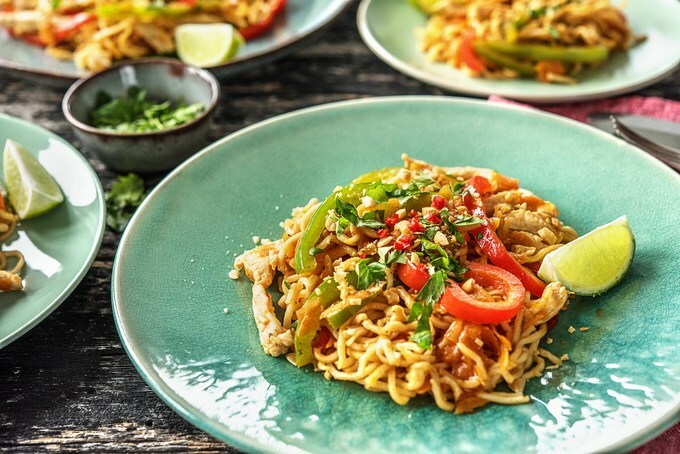 Now HelloFresh customers from UK, Germany, Netherlands and others will be able to cook up a storm using Jamie Oliver’s recipes! If you are not sure what Hello Fresh is, they are food delivery service who deliver a box of all the necessary ingredients direct to your door. There is no waste as it comes with exactly the right ingredients according to the number of people. Also the food is fresh! They will also donate to the Jamie Oliver Food Foundation per Meal Box sold during the partnership. What a great cause! Fish Pie is one of Mr K’s favourite meals and he was thrilled to learn he could even make his own fish pie! 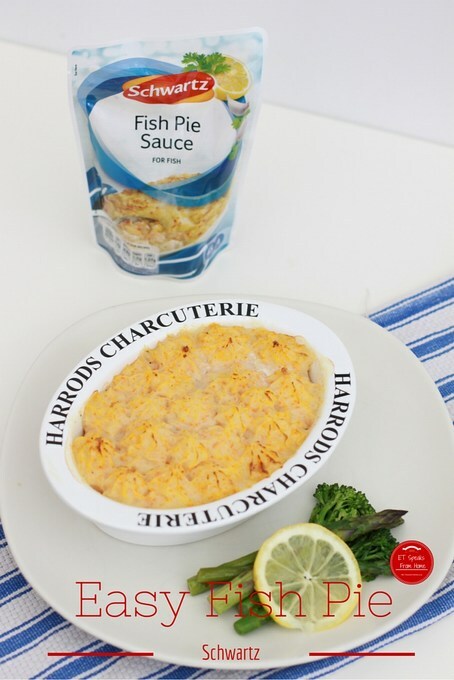 This is an easy fish pie recipe that does not require many ingredients. This is because we are using Schwartz Fish Pie sauce. This quick and easy pour over sauce comes with everything we need for the fish. It is a thick and creamy sauce with white wine, parsley and lemon that is enough for 4 servings. Before we baked the fish pie, I cooked the carrot and potatoes to make a mash. Boil the carrot and potato until it is soft to mash. Then add milk, butter, cheddar cheese and pepper into the mash. Set it aside to cool down. Once it is cold, place the mash into a piping bag with a star nozzle to pipe the mash. 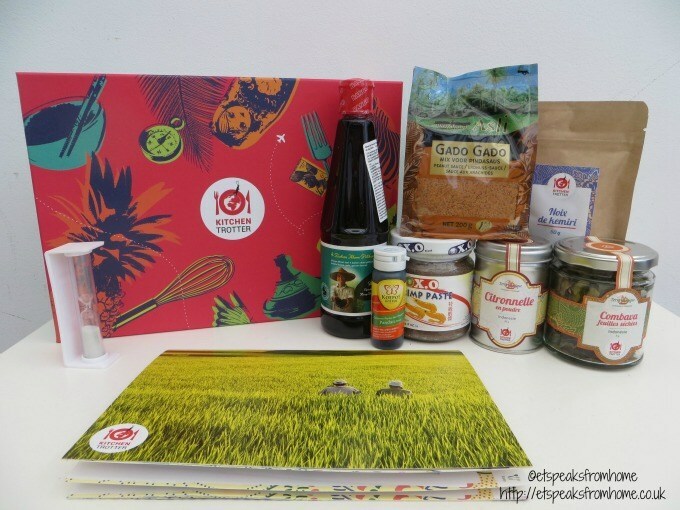 Recently, Kitchen Trotter launched their monthly country subscription kit. They aim to bring the global cuisine experience to every UK household. This is a French start-up with a successful Kickstarter campaign under its belt; Kitchen Trotter will allow their cooks to create recipes from the four corners of the world with great and exotic produce. Founded in 2012 on the passion of three French entrepreneurs Pierre-François Lotiron, Aicha Mansouri & Kenza Hachimi from different backgrounds, sharing their love of cooking, the best memories of their travels and the flavours they discovered. 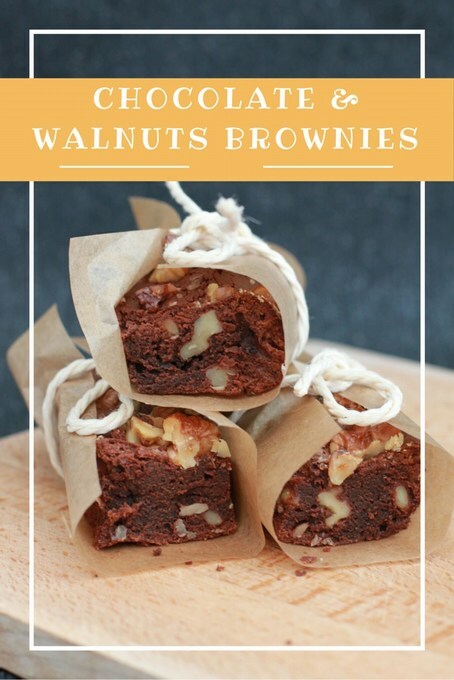 We have never been a big fan of brownies because they tend to be too dense for our taste buds but I decided to experiment with it as I am trying different types of bakes each week. My son and I tried out this recipe together. It is from The Secret of Cookies which I bought it from Singapore. I have changed some of the ingredients for ingredients more widely available in the UK. Want to learn how to cook authentic Italian gluten-free or Paleo diet? Then you should take a look at this Paleo Italian cookbook by Cindy Barbieri! Her book contains a great collection of her family recipes from appetizers to brunch, from Tuscan favourites to Seafood main courses and many more delicious recipes! I am totally spoilt for choice and I want to cook every recipe! Cindy took 4 years to write this book and she has taken the dishes her Nana made for her family and transformed her recipes to fit a Paleo lifestyle. I’ve always thought that Italian staples are pasta, bread and pizza. 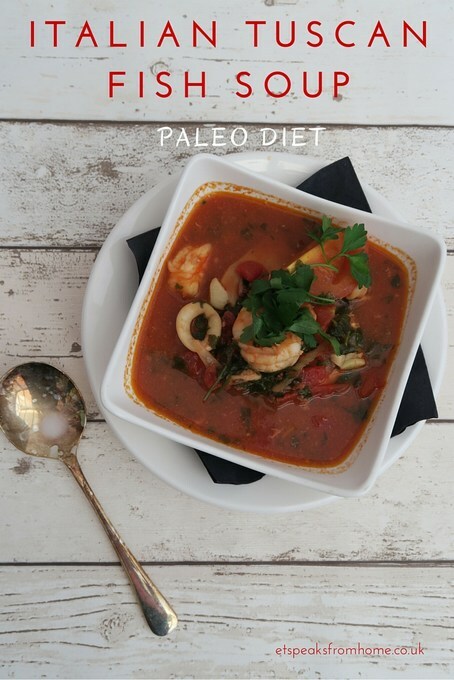 So it is very interesting to know recipes for a Paleo diet! 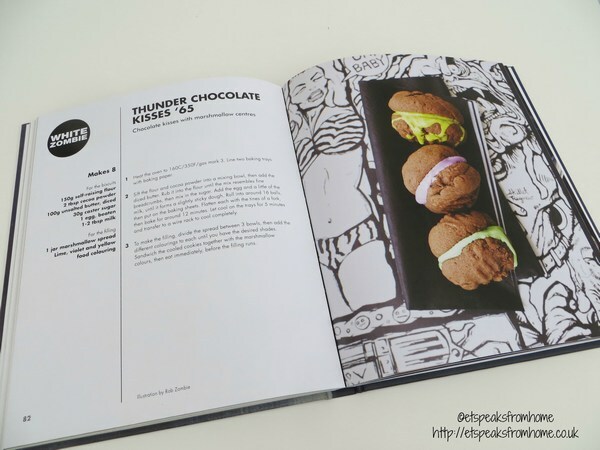 Recently, I came across the Bake in Black cookbook which was written by a musician and a food journalist in East London. They started started life as a blog from a kitchen and took a song or an album title which then inspired them to create a recipe. It draws influence from the world of rock and heavy metal to create awe-inspiring edible tributes in the kitchen. There are more than 60 sweet indulgences in this cookbook. After watching the Great British Bake Off last week, I really wanted to bake biscuits so badly! Due to the summer holiday and busy weekend, I decided to make this super easy Oreo biscuit cupcake! This requires only three basic ingredients and Oreos, of course. If you don’t have Oreos, you could also use crackers. This summer holiday, we have been very busy whisking, mixing and baking! Both of my children love helping me in the kitchen and making a lot of mess! Rarely a day goes where my kitchen is not filled with mess! 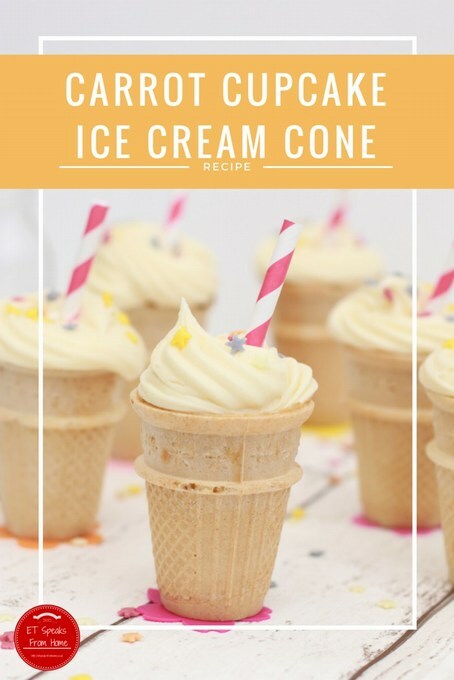 After successfully baking the butternut squash muffins and butternut squash & raspberry traybake, this week we have baked the carrot cupcake ice cream cone. This recipe is very simple and as you add in grated carrot into the mixture, you get the hidden benefit of eating some veg! Both my children enjoyed it even thought they knew there was carrot in it. They didn’t taste any difference to any other cake. Another success of hidden vegetables in a cake recipe! A huge welcome to Week 28 of the Tuesday Tutorials Pintorials Pin Party! 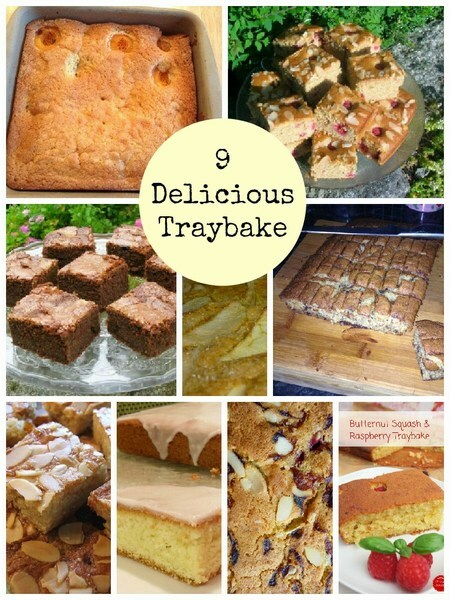 This week I am featuring 9 different traybakes. This is a great list of traybakes if you are looking to make some for a school year-end party or sharing with family and friends in the summer! A few months ago, I tried to bake Jamie Oliver’s Butternut Squash Muffins and it was a great success. I am not a big fan of vegetable cakes like carrot cake but I love the idea of hidden vegetables in cake. Ever since I tried the muffins, I’ve loved it. So I decided to make a Butternut Squash & Raspberry traybake for my Lichfield Mandarin Club’s party. This was my first time baking it and all the children and parents loved it. They all couldn’t detect the butternut squash. The only let down was that the raspberries were slightly sour! As many of you may know, the brand new Minions movie hits cinemas on 26th June 2015! We can’t wait to watch it now! To celebrate, Green Giant is challenging bloggers to create the ultimate Minion-inspired summer snack. So I created these Minions sweet corn steamed cakes! I can understand that it might sound weird for some people but in fact, in Asian countries, sweet corn is used in many recipes. We even have sweet corn ice cream, sweet corn jelly and not forgetting the popular chicken with sweet corn soup as found in many Chinese takeaways and restaurants. Most children love cake! But not all children love vegetables! By combining these two together, we made sweet corn cakes! Sweet corn is naturally sweet, healthy and nutritious!